Want it by Wednesday 24th April? Order within 2 days, 10 hours, 11 minutes and choose Next Working Day - Kerbside Delivery (Order Must be Placed by 2pm) at checkout. 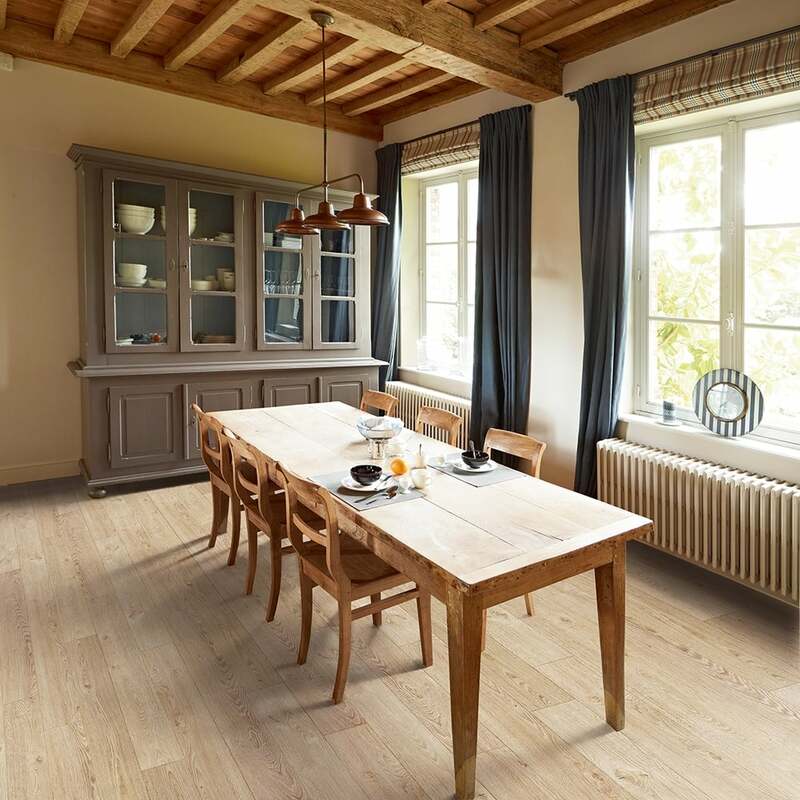 Balterio Tradition Elegant Vanilla Oak is a light oak board with a 9mm depth, the plank measures 190.5 x 1261mm long. Elegant Vanilla Oak adds warmth and airiness to any interior, with white wood grain and warm earthy tones, this board would be best suited to contemporary and country interiors. With a 25 year residential warranty alongside a 12 year commercial warranty, proving this floor can be part of your home for many years to come. With its click express system- DIY has never been so easy! As with any purchase- make sure you choose the right floor! Contact us today for any help and advice you require! Have this product installed throughout the downstairs of my house. it looks fantastic and is really good quality.